We ask our industry panel - the brightest and sharpest VR professionals from around the world - one question about the XR industry, business, technology or trending stories every month. Question: With standalone VR headsets from the likes of HTC, Oculus, Lenovo and Pico hitting the market throughout the year, what effect do you think this will have on the XR industry in 2018? “I'm hugely excited by these standalone headsets and have high hopes that they can be the next stage of building a bigger market for VR. Apple users who like tech but haven't made the leap into VR are the ideal target as they don't have that budget route via their phones and that is a big user base to go after that we know are happy to spend. 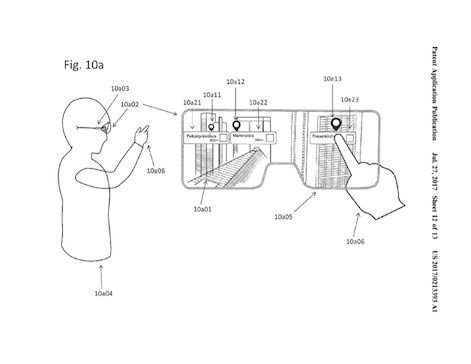 Apple is working on AR smartglasses, as shown in this patent image. Standalone devices with ease of set-up and use are going to drive adoption amongst the training, learning and development sectors. “There is still a long way to go to educate the consumer about the differences between the options and what benefits they offer over one another. Trying to explain the difference between a 6DOF headset and a 3DOF input controller to a high street shopper is going to take a considerable amount of education of the store employees around the strengths and weaknesses of each type. “Price will of course be an important factor in deciding which hardware to purchase. Devices like the Oculus Go at $199 are certainly cheap on paper but in reality, how many consumers are factoring in the costs of their mobile handsets needed for Gear VR, the current equivalent, when the headset is available for £100, since this is usually built into a monthly tariff? 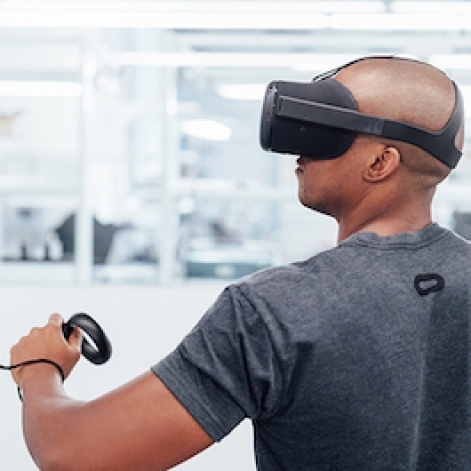 “For corporate users - and those looking to increase scale of VR hardware deployments - these standalone devices with ease of set-up and use are going to drive adoption amongst the training, learning and development sectors looking to increase the engagement and immersion of their employees. What will the Vive Focus be called if it's released outside of China? The true VR market might have to wait until affordable mobile hardware is available that can meet the more demanding requirements for VR positional tracking. “This year's planned release of standalone VR headsets is certainly a positive sign for the VR industry. One key advantage is the improved ease of access - there will be very little risk of incompatibility or user error in the setup compared to tethered or smartphone based headsets. “However, one area of concern is performance. 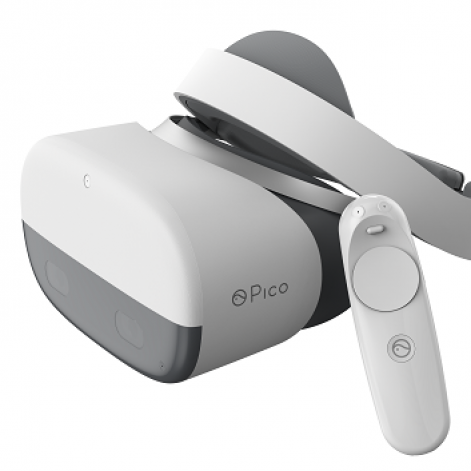 There is a belief that standalone VR headsets are likely to also have a more accessible price point than existing VR options, and the Oculus Go is already leading the way with a price of $199. "But when we consider the already limited capabilities of mobile VR headsets that utilise high end smartphones that cost way over $500, such as the lack of positional head tracking – which I would argue is essential for a true VR experience - then it looks like this initial wave of standalone VR headsets are more likely to provide a significant boost to the 360 video market. The standalone VR headsets in 2018 are not going to fulfil the VR revolution, but they will help build towards a larger market. “The standalone VR headsets reaching the market in 2018 are not going to fulfil the promised VR revolution. 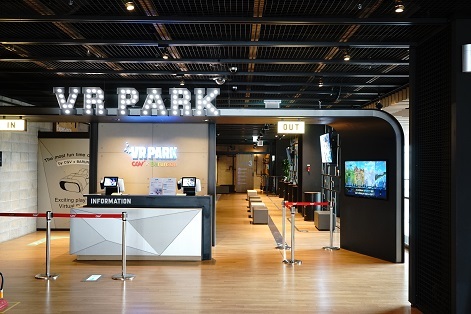 They are merely another step towards better VR experiences, even though they have a lot of potential to push further applications in the B2B space. “The VR industry needs to improve on multiple fronts at the same time and it is not realistic to expect all of them to come to fruition at the same time. High End VR has ways to go in terms of the quality of the experiences and their accessibility and has many hard problems to solve yet. “Mobile/standalone VR had its potential reduced by phone makers and developers shifting their focus more towards mobile AR, and might not top a few tens of millions installed base long-term. Standalone premium VR could begin to accelerate in 2019/2020 as hardware/software develops and prices come down, but might only deliver around half of mobile/standalone VR’s installed base by 2022. They will pave the way for further, untethered and high-end devices. “I remain sceptical about the purported sweet spot of a ‘light’ device that still costs extra and provides limited use case. If I use VR at home and expect further price cuts to current hardware, why would I go for a standalone system that offers a sub-par experience? 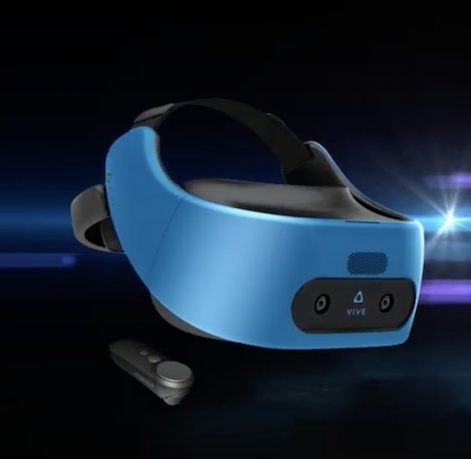 “Portable VR headsets will help create a hassle-free experience uninterrupted by cables, lighthouse set-ups and trackers to create easy navigation and content consumption. Vive Wireless and Oculus’ upcoming Santa Cruz will offer full room scale and 6DOF VR. "Meanwhile, high-resolution devices from HTC (Vive PRO), Pimax (8K), and StarVR will increase experience quality. These two trends are evolving in parallel, but will merge at some point. “The advancement of headsets is an important part of the advancement of XR, particularly the untethering of high-quality experiences. But this is only one aspect of what will drive the industry forward. Just as important is a steady stream of high-quality experiences that will ‘feed the beast’ and move XR into the daily entertainment consideration set of consumers. I really hope it becomes a stepping stone into more advanced VR over time for the consumers. “These headsets have an opportunity to reach a consumer sitting somewhere in between the early adopters of wired VR headsets, and the more casual users who might have tried Cardboard or Gear VR. 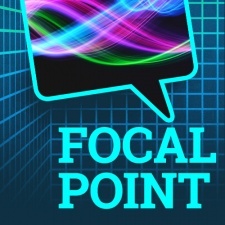 “While I think it's exciting as a producer of content to have the opportunity of reaching a larger audience, I think some of these HMDs are not showing off the true potential of VR. Until you have 6 DOF and hand tracking, you're not really there in my mind. Looks like the Pico Neo might be fulfilling that, but it's too early to say how well it works. Is the Pico Neo the best of the bunch?